The average budget spent on company blogs and social media has nearly tripled over the last three years, and it seems as if everyone is talking about inbound marketing. But what exactly is it? Does it deliver value for money? Is it applicable to B2B companies? And is it worth changing your current marketing approach to incorporate it? The idea behind inbound marketing is that buying patterns have changed. 15 years ago prospects needed you to give them information about your products and services. Now, they conduct a lot of background research on their own, with 60% of the buying decision being made before they speak to anyone, according to Corporate Executive Board. We define inbound marketing as any online marketing activity that creates and exploits a direct relationship between you and your prospect or customer as an individual. So ‘inbound marketing’ is really a misnomer, as the approach includes methods such as sending marketing emails and sharing information via social media, which are clearly ‘outbound’ in their approach. Unlike other marketing channels, the internet is what people use when they’re actively looking for information. So you have the ability to speak to prospects at the moment they tell you that they are considering buying something. Inbound marketing allows you to win business by attracting prospects with helpful information that aids them in reaching a decision. You can educate your prospect, so that when they come to buy, they choose your company as they trust you. 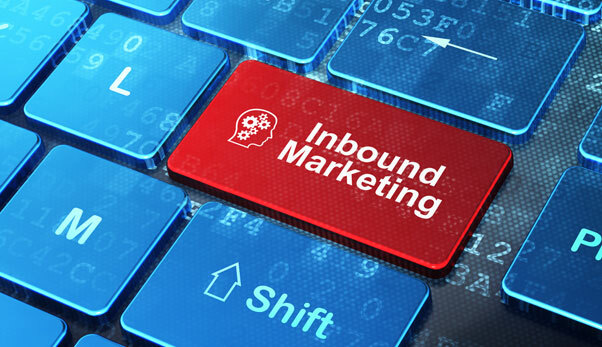 Why should you incorporate inbound marketing into your approach? There’s a simple answer: it’s good value and easy to measure. Companies using inbound marketing techniques have better lead acquisition margins than those that don’t, according to HubSpot State of Inbound Marketing, 2013. Inbound marketing is also flexible. It allows you to adjust your tactics based on new information as it comes in, for example by amending your website or writing a blog post to address the issue. Measuring marketing activity is particularly easy with inbound marketing. You can analyse everything from what search terms are leading people to your website to what individual leads download over time. This gives you the evidence you need to support your marketing initiatives. How do you use inbound marketing? A cornerstone of inbound marketing is providing free information. The only ‘cost’ to the prospect is giving you contact details so that you can follow up by phone or direct email. Prospects are desensitised to traditional marketing messages and don’t want to be ‘sold’ to in the traditional sense. You have to become a trusted advisor that helps the prospect make a purchasing decision. You do this by cultivating a relationship with the prospect. Which means you provide useful and appropriate information at each stage of the buyer’s journey: to attract, inform and convert your prospect into a lead. The idea is to be at the front of prospects’ minds when they are finally ready to buy. It’s not about sales messages that harp on about your product or service specifically – but offering valuable information that generates leads and converts leads into customers. Is it only applicable to B2C companies? Many of our B2B clients think their customers won’t respond to inbound marketing. But in almost every case our research shows that inbound strategies add value. Even in B2B you’re not just selling to a business – there is a human being at the other end making the decision. And most people making these decisions use the internet for research. Does the inbound approach benefit sales as well as marketing? But remember, while inbound techniques are likely to help you win business, you’ll get the best results by integrating these tactics with other offline approaches.